Join us for the inaugural Vera List Center Forum, an annual, international convening of key participants in the field of art and politics. At the Vera List Center Forum 2018 on October 4 and 5, we will introduce the center’s new 2018-2020 Focus Theme, “If Art is Politics,” through a conversation with curators, artists and scholars; we will announce the recipient and the finalists of the Jane Lombard Prize for Art and Social Justice; you will meet the 2018-2020 Vera List Center Fellows and hear artist, curator and scholar Jolene Rickard (Tuscarora) deliver a keynote on art as political practice.These interdisciplinary explorations chart the investigations and proposed affinities for the two-year focus, launching the Vera List Center’s distinct curricular investigations that will be developed throughout the coming year. “If Art Is Politics” considers how, at this moment of political reckoning with democratic institutions and alternatives to traditional party politics, art operates as a political practice. Can art be politically viable, and how does it acquire political agency? How does art shift and affect the sites, practices and participants of political processes in ways that traditional forms of political involvement might not? Does art allow for the embrace of a set of shared values that transcend party politics? 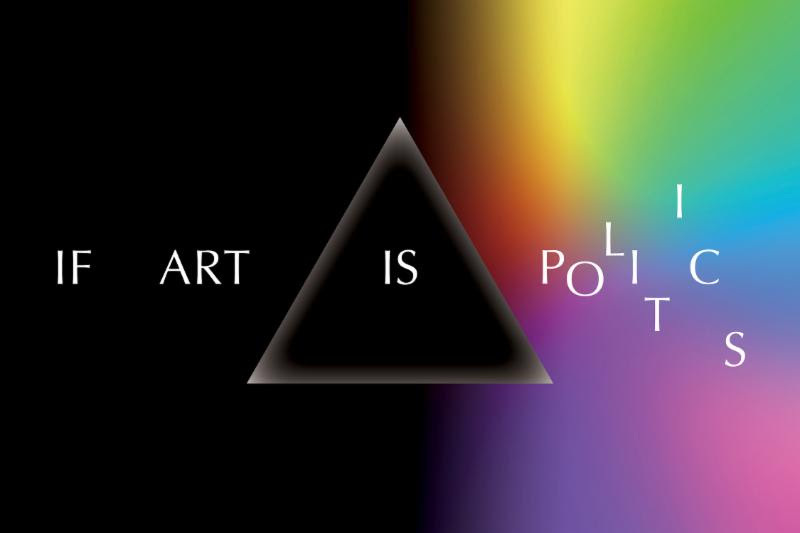 “If Art Is Politics” will continue to be the Focus Theme through 2020, and inform distinct strands of investigation and a constellation of research clusters. As a space of belonging for geographically, culturally and socially diverse constituencies, we explore new inclusive politics that transcend conventional political systems. The second year we will take stock of this preliminary work and consider how the Vera List Center, with its public seminars, fellowships, teaching, prize initiatives, exhibitions and publications, attends to this critical provocation. 7:00-8:00pm 2018-2020 Vera List Center Prize Recipient Announcement and Conversation with the Prize Jury: Koyo Kouoh (chair), Richard Hill, Carin Kuoni, Nontobeko Ntombela, Uzma Rizvi and Maya Wiley. 8:00-8:30pm Keynote Jolene Rickard, (Tuscarora), artist, curator and Associate Professor of Visual Art and Cornell University. Hyperallergic is the exclusive media sponsor for the Vera List Center Forum 2018.